In keeping with this year's summer reading theme, World Culture and Travel, the Bridgewater Public Library has introduced a Postcard Wall in the browsing area of the library. We encourage our library patrons to mail us a postcard from your summer vacation destination, whether it is a beach town on nearby Cape Cod or a mega vacation to the other side of the world. 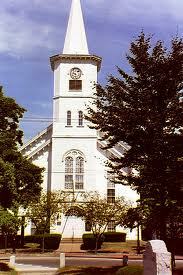 If you forget to mail your postcard, you may drop it off at the library upon your return to Bridgewater. Novel Destination is sponsored by your local library, the Massachusetts Library System, the Boston Bruins, and the Massachusetts Board of Library Commissioners. On 30 July 1945, the USS Indianapolis was torpedoed by a Japanese submarine and sank within minutes in shark-infested waters. Only 317 of the 1,196 men on board survived. However, the Indianapolis had already completed its major mission: the delivery of key components of the atomic bomb that would be dropped a week later at Hiroshima to Tinian Island in the South Pacific. The Indianapolis made its delivery to Tinian Island on 26 July 1945. The mission was top secret and the ship's crew was unaware of its cargo. 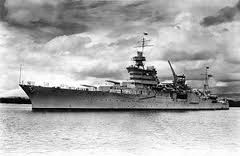 After leaving Tinian, the Indianapolis sailed to the U.S. military's Pacific headquarters at Guam and was given orders to meet the battleship USS Idaho at Leyte Gulf in the Philippines to prepare for the invasion of Japan. Shortly after midnight on 30 July, halfway between Guam and Leyte Gulf, a Japanese sub blasted the Indianapolis, sparking an explosion that split the ship and caused it to sink in approximately 12 minutes, with about 300 men trapped inside. Another 900 went into the water, where many died from drowning, shark attacks, dehydration or injuries from the explosion. Help did not arrive until four days later, on 02 August, when an anti-submarine plane on routine patrol happened upon the men and radioed for assistance. On 06 August 1945, the United States dropped an atomic bomb on Hiroshima, Japan, inflicting nearly 130,000 casualties and destroying more than 60 percent of the city. On 09 August, a second atomic bomb was dropped on Nagasaki, where casualties were estimated at over 66,000. Meanwhile, the U.S. government kept quiet about the Indianapolis tragedy until 15 August in order to guarantee that the news would be overshadowed by President Harry Truman's announcement that Japan had surrendered. In the aftermath of the events involving the Indianapolis, the ship's commander, Captain Charles McVay, was court-martialed in November 1945 for failing to sail a zigzag course that would have helped the ship to evade enemy submarines in the area. McVay, the only Navy captain court-martialed for losing a ship during the war, committed suicide in 1968. Many of his surviving crewmen believed the military had made him a scapegoat. In 2000, 55 years after the Indianapolis went down, Congress cleared McVay's name. Team Massachusetts, founded in 2010, is a small privately funded group of volunteers from Bridgewater. They provide care and comfort packages to Massachusetts soldiers serving our country. Team Massachusetts shipped package # 179 yesterday and will be hosting a table on the Quad. during the Festival of the Arts on the 4th. We invite everyone to stop by to design a card or sign a sports ball to be included in our upcoming shipments. Thank you for your time and God Bless America! For more information about Team Massachusetts, check out their Facebook page by clicking here and make sure you "Like It." Michael Walsh will be returning to the Bridgewater Public Library to exhibit his photographs. The exhibit will run from July 6th through the end of August. Walsh's vivid color photos depict a variety of New England scenes. The focus of the pictures is unusual due to the fact that Mr. Walsh has impaired vision. The exhibit will be in the Flora T. Little Gallery which is accessible by elevator. 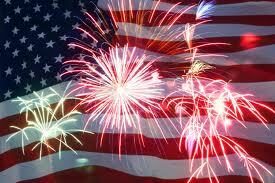 The library is open Monday 4-8 p.m.; Tuesday 1-8 p.m.; Wednesday 10 a.m. - 5 p.m.; Thursday 9 a.m. - 5 p.m. The library is closed on Saturdays until after Labor Day. 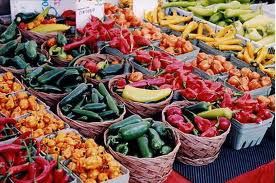 On Saturday, September 24, from 10-4, the 23rd Annual Autumnfest 2011 will be held on the campus of Bridgewater State University on the Boyden Hall Quad in Bridgewater, MA. This event is sponsored by the Bridgewater Business Association with the generous help and support of the Bridgewater business community. The BBA is currently looking for vendors as well. As always, BBA members get a FREE booth. Visit www.autumnfest.net for more information and for applications and reservation forms. Ed the Wizard will be bringing his program "Reading Is Magic" to the Bridgewater Public Library on Wednesday July 13, 2011 at 1:30 p.m. Ed the Wizard uses volunteers and weaves reading and magic together along with laughter using a bit of comedy and suspense. With reading as the emphasis behind each magical performance, Ed the Wizard encourages children that reading is indeed the key to success. This program is appropriate for children age 5 and up. Ed the Wizard is supported in part by a grant from the Bridgewater Cultural Council, a local agency which is supported by the Massachusetts Cultural Council, a state agency. The event will be held in the Flora T. Little Meeting Room on the lower level. Registration is not required. The library is closed on Saturdays in July and August. Central Square Congregational Church, 71 Central Square, Bridgewater (on the common) offers free hot breakfast on the 1st and 3rd Sundays of each month, from 8am until 9:30am. Public welcome! Donations accepted but NOT required. We'd love to see you there! Bring your friends – no strings attached. Find us on Facebook by clicking here or find out more about our church at www.csccuccbridgewaterma.org. 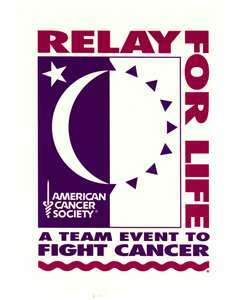 Congratulation to Relay for Life of Bridgewater, Lakeville, Middleboro. This year they had over 520 participants, 45 teams and 89 survivors. So far the total amount raised is $121,767 and counting. Bridgewater has a new ReMax Five Star office as of last August when it opened its doors. Prior to the new name it was the office of Diamond Real Estate owned and operated by Eileen Prisco-Campanini who has been a Realtor for over 25 years in the town of Bridgewater. The new ReMax Office is a family run business with Ms. Campanini's son Paul Prisco as one of her top agents as well as Bridgewater resident agents Carol Tworek, Dave Norcott, Randy Ellis, Paul McCampbell and Rachelle Moreau making up the ReMax Five Star team. The company does residential listings and sales as well as commercial sales and land development. 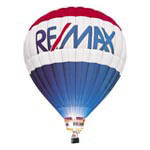 If you are in need of a good, local Realtor make sure you consider ReMax Five Star here in Bridgewater. Call them at 508-697-2211. After 17 years of service in the rectory at St. Thomas Aquinas Church, Penny Trainor is retiring. This Saturday (June 25th) there will be a gathering at the Parish Center after the 4PM Mass to wish her well and thank her for all she has done for St. Thomas Aquinas. This event is open to grandparents and their grandchildren, friend or neighbor. Entertainment will be available and hotdogs, chips and an ice cream sundae will be served. Tickets are $3 for adults and children are free. To sign up, please call 508-697-0929. On Tuesday, June 28th, Big Ryan, a popular children’s storyteller, will visit the Bridgewater Public Library to kick off the library’s 2011 Summer Reading Program. The public is invited to attend this program, which will feature original stories, music, movement and a whole lot of fun. Big Ryan’s Tall Tales is appropriate for children of every age. No registration is necessary. This free program, which begins at 2:00 p.m., is funded by the Friends of the Bridgewater Public Library. Parking is available in back of the library, located at 15 South Street. The Boston Bruins are once again teaming up with libraries across the Commonwealth to encourage kids and teens to keep reading over the summer. “We’re certainly proud of the team and their support of summer reading has really made a difference,” said Mary O’Connell, Associate Director for Public Services at the Bridgewater Public Library. Tim Thomas, Milan Lucic, Mark Recchi and other players helped libraries develop Favorite Books of the Boston Bruins, a recommended reads list, to encourage children and teens to read a variety of books over the summer. “The kids really enjoy picking up a book and seeing that it was recommended by one of the Bruins players. It inspires them to want to read it themselves,” said Cindy Davis, Children’s Room Supervisor. Summer reading is one of the best ways to help children and teens maintain skills they’ve learned over the academic year and grow towards the skills required for the next school year. To sign up for summer reading at the Bridgewater Public Library, stop by the library on Monday, June 27th, or any time afterwards. Favorite Books of the Boston Bruins will be available in the Children’s Room. 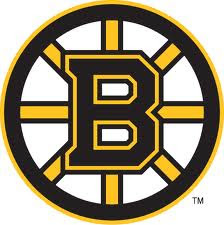 The Boston Bruins began partnering with the Massachusetts Board of Library Commissioners (MBLC) and the Massachusetts Library System in 2009. Massachusetts has offered statewide online summer reading programs since 2007 and was the first state in the country to offer such a program. On average, 350 libraries offer statewide summer reading each year with over 95,000 children, teens, adults participating. For more information about the Bridgewater Public Library’s Summer Reading Program, call the library during regular library hours. Summer hours begin in July and are as follows: Monday 4-8; Tuesday 1-8; Wednesday 10-5; Thursday 9-5. The Bridgewater Public Library will sponsor a free, non-competitive Summer Reading Program for children from June 27 through August 11. This year’s theme is: One World, Many Stories. Children age 3 to 12 are invited to register. Participants are encouraged to read books of their own choice at their own pace. Pre-readers may have parents, caregivers or siblings read to them. Sign-up begins on June 27th in the Children’s Room. All reading participants are eligible to win a bike donated by Estabrook and Chamberlain Insurance Agency of Bridgewater. A closing ice cream party and bike raffle for participants will be held on Thursday, August 11th. Registration will be required. One World, Many Stories is sponsored by the Bridgewater Public Library, the Massachusetts Library System, the Boston Bruins, and the Massachusetts Board of Library Commissioners. Estabrook & Chamberlain and The Friends of the Bridgewater Public Library are also sponsors. 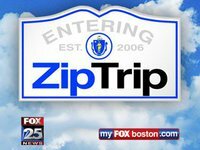 For more information, call 508-697-3331. It was created and spearheaded by a 4th grader (Capri McLucas) three 5th graders (Hannah Brousseau, Catalina McLucas and Abby Balutis) and one 7th grader (Claudia Hendriques). 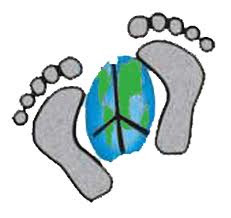 The girls, along with the help of many many supportive adults and community leaders, have organized a Peace Walk that will be held this Sunday at the Legion Field Gazebo from 10am until 1pm. There will be live music performed by Bridgewater based bands the Bar Flies and Speckled Trout as well as a special performance by Easton's own B-Capp, who is a hip hop star on the rise! The day will be highlighted with the reading of a peace pledge that was written by Capri McLucas and a Balloon Release to signify the unified elimination of bullying in our community. The Bridgewater Community Preservation Committee is seeking an administrative support person. The job entails a maximum of 5-6 hour of work per month with the main responsibility being to attend meetings on the 3rd Thursday @ 6:30PM and usually lasting about 2 hours. A laptop computer is provided for record keeping and minute taking. Other duties include periodic (once/week) check of the CPC mail box at Town Hall, meeting postings and room reservations (the routine ones of which are already automatically scheduled for this year), the electronic distribution of the minutes and electronic monthly reminder notice/agenda distribution for upcoming meetings. Preferred qualifications are: excellence in the use of Microsoft Office; experience in minute taking; attention to detail and an interest in Community Preservation Act areas (affordable housing, historic preservation and open space creation). Anyone interested in the position should contact Town Manager, Troy Clarkson at (508) 697-0935 ext. 1252. Wear Your Town is a Bridgewater based small T-Shirt company created and developed by two Bridgewater moms, Kristin Morris and Gina Monahan. They have created product that is based on town pride. They display the town's zip code on the front of the tee and the town name and state on the back. They include a state map outline showing the location, as well as the company name Wear Your Town. Wear Your Town carries quality, tagless, 100% cotton tees. Their tees come in various colors and styles for young children through adult sizes. Shirts can be ordered through their email info@wearyourtown.com and are delivered in Bridgewater free of charge. The Bridgewater Public Library and Lisa Marie's Salon and Day Spa also carry a stock of their tees. Donations from these sales are being made to the Friends of the Bridgewater Public Library and the 4th of July Committee. More information can be found on their website by clicking here. We think you will love to "Wear Your Town"! The Bridgewater Public Library is hosting the Lego Club for children ages 6 and up. The next program is Monday, June 20th at 4:30 p.m. Registration IS required for this event. Registration begins Monday, June 13th. For more information, please call Mrs. Davis in the Children's Room at 508-697-3331. Bridgewater, MA – Walkers will go around the clock in the battle against cancer when the American Cancer Society Relay For Life® of Bridgewater Lakeville Middleboro gets underway with teams of residents gathering at Bridgewater Raynham Regional High School on June 17 at 3pm. Relay For Life events are held overnight as individuals and teams camp out at an athletic track, park or other gathering area, with the goal of keeping at least one team member on the track or pathway at all times throughout the evening. Teams do most of their fundraising prior to the event, but some teams also hold creative fundraisers at their camp sites during Relay. Relay brings together friends, families, businesses, hospitals, schools, faith-based groups . . . people from all walks of life – all aimed at furthering the American Cancer Society’s efforts to save lives by helping people stay well, by helping them get well, by finding cures and by fighting back. This year’s event will be held on the track at 415 Center Street. The Opening Ceremony will begin at 6PM. During this part of the event participants celebrate survivorship and the advances being made in cancer research. Relay For Life’s Luminaria Ceremony takes place after sundown at 9pmhonoring the community’s cancer survivors and remembering those lost to the disease. Participants will circle a track that is surrounded with glowing luminaria that bear the name of someone who has battled cancer. In addition, there will be a slideshow tribute to survivors and those who have lose their battle to cancer. To submit a photo please email Alicia Fortin at afortin@btvaccess.com. To learn more, locate a Relay For Life event and find out how you may form a team and get involved, please call 1-800-227-2345 or visit RelayForLife.org. Liberty Mutual presents Bring Back the 4th, a contest through which U.S. Cities and towns can compete for one of ten $1o,000 grants to continue local 4th of July traditions such as fireworks and parades. To help Bridgewater try and obtain one of these grants, please take a short quiz by clicking here and following the instructions on the site. The Friends of the Bridgewater Public Library are pleased to announce the winners of their 4th Annual Pizza Fest. In the “Best Cheese Pizza” category, first place went to Bruno’s Pizzeria; 2nd place to Campus Pizza; third place to Bogart’s Pub & Pizza. In the “Best Specialty Pizza” category, first place was awarded to Bogart’s Pub & Pizza; second place to Chessmen’s Pizza; third place to Bruno’s Pizzeria. The Friends would like to congratulate the winners and thank all of the contestants for their contributions. Honorable mentions and big “thank you's” go out to Nick & Angelo’s Pizza and Papa Gino’s for their donations of pizza and staff to our event. We would also like to thank all our volunteers for their time and efforts and all those who came and supported the fundraiser. Thank you to the staff at St. Thomas Aquinas who generously donated the use of the Parish Center Hall and their custodians. Also, thanks to John Sylvia from Bridgewater Trophy & Modern Marking for the donation of trophies for our first place winners. All proceeds of the Pizza Fest go to the Friends of the Bridgewater Public Library and will be used to finance programs, museum passes, books, bookmarks, music CD’s, DVD’s, books on CD, library supplies and other materials. For more information about the Friends of the Library, go to www.bridgewaterpubliclibrary.org/friends.htm.